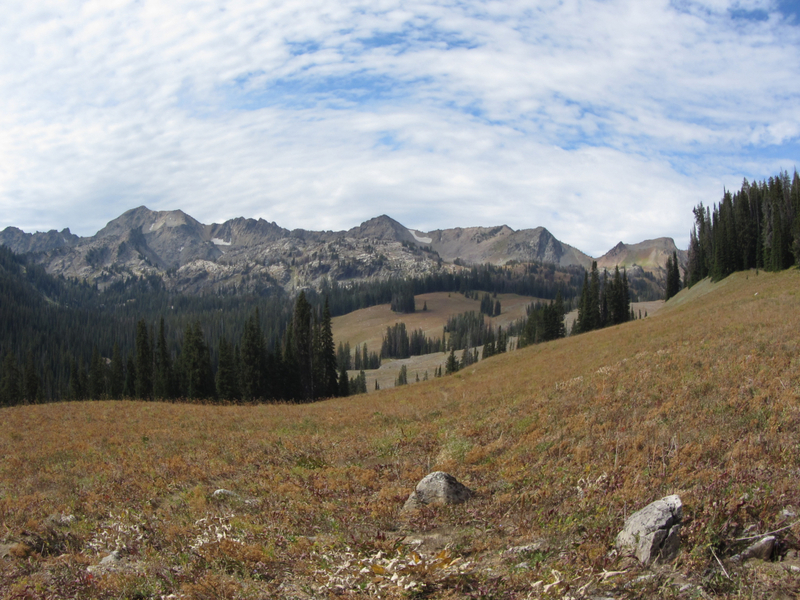 The Gros Ventres might not be as famous as the Tetons, but they are a vaster range. If you run, it'll take perhaps five hours to get there. 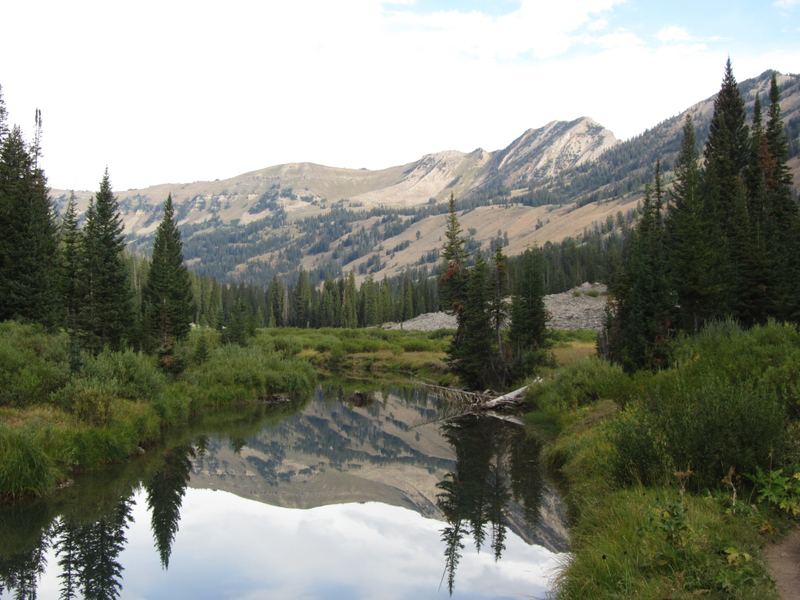 If you make it a leisurely hike, it'll take three days, including an overnight at Turquoise Lake. As the crow flies, Granite Hot Springs is 20 miles due east of downtown Jackson. To drive there though, it takes over an hour--15 miles on a highway and then 10 miles on a washboard-ed dirt road. If you want to hike there, you can start at the Town Square. 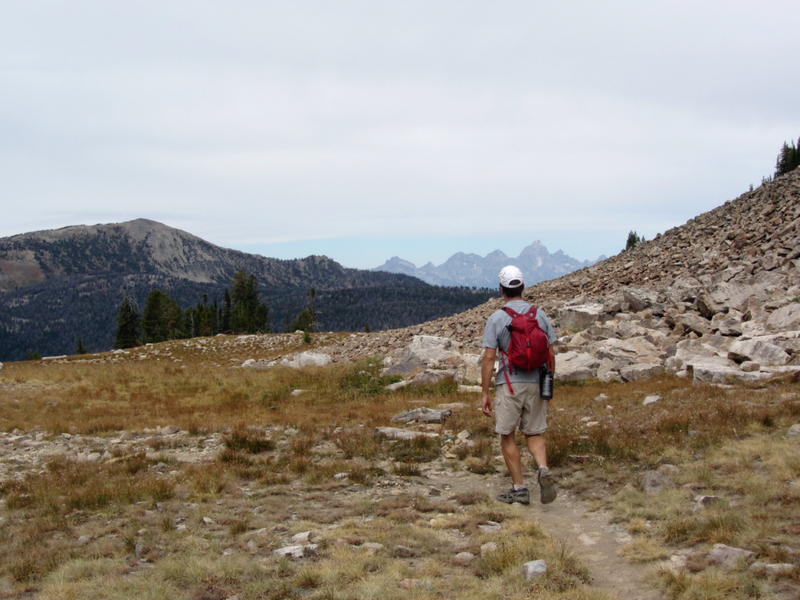 There are two ways to hike between Granite and Cache. One, longer by several miles for a total of about 27 miles, takes you past Turquoise Lake and to the north of Cache Peak. The other crests a saddle just south of Cache Peak. The latter trail gets quite fuzzy and hard-to-follow in the basin below Cache Peak. Personally, I think the northern route is more scenic. And Turquoise Lake is a beautiful spot to camp. While it's novel to start your backcountry trip at Jackson's iconic elk antler-arched Town Square, we recommend starting at the other end, Granite Hot Springs. That way, when you end, all of the amenities of Jackson--burgers, brownies, beer--are right there. Starting from Granite Hot Springs, chances are you won't see too many other hikers until you hit the other end of the trail. Chances are also high of spotting a moose or two. By the time you've hiked in six miles, you'll have climbed about 1,600 vertical feet but won't realize it the climb is so gradual. It's around here that the views start getting good. 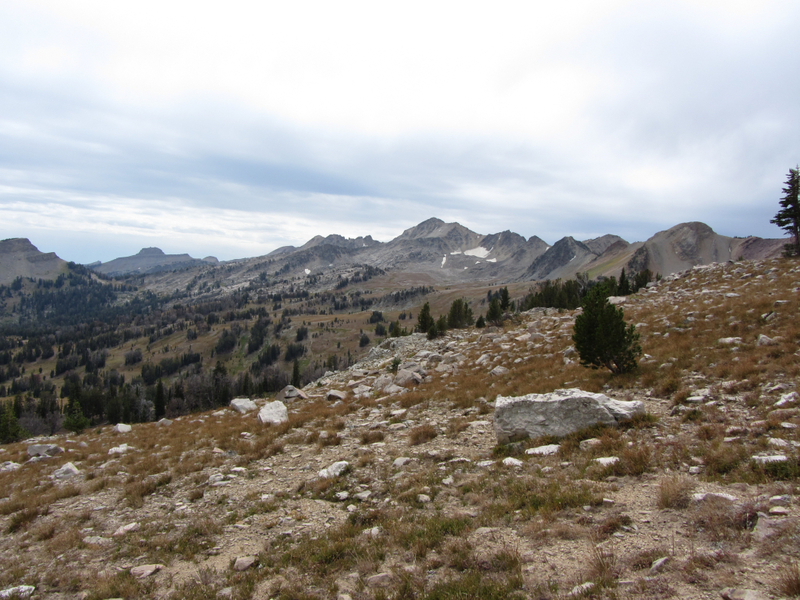 The Gros Ventres might not be as famous as the Tetons, but they are a vaster range. 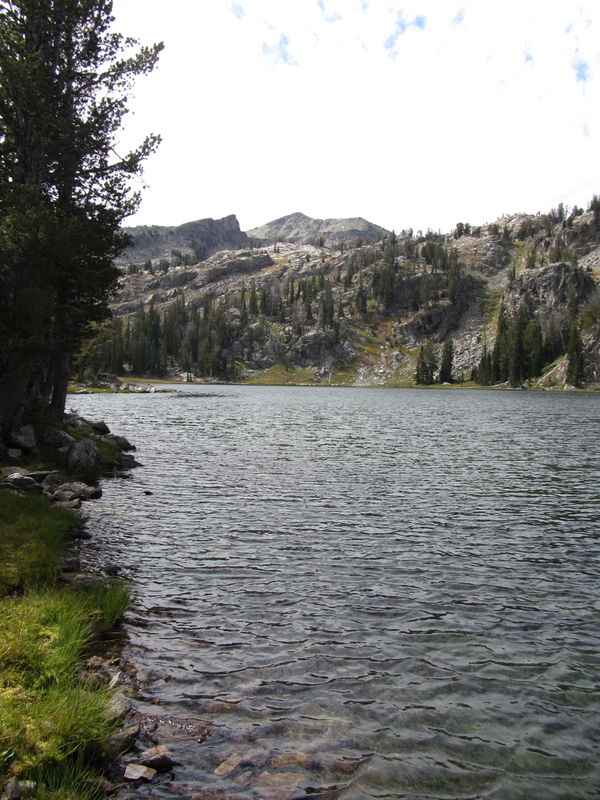 Turquoise Lake is almost the exact half-way point between Granite Hot Springs and the Putt Putt Trailhead. Getting there from Granite, it's a 3,000 vertical foot elevation gain. The descent down into the Cache Creek drainage from north of Cache Peak isn't as gradual as the climb you came up from the east. (That is another reason to hike this east to west.) 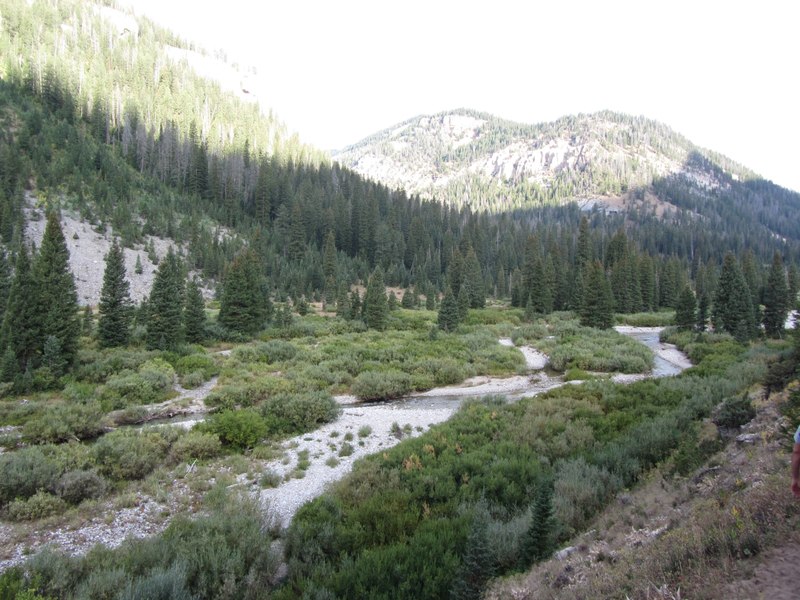 For the final six miles of trail you will have exited the Gros Ventre Wilderness and you'll be in an area popular with mountain bikers so keep an eye out. Hikers who love to share nature with no one but the animals. The Granite Creek Trail literally starts directly behind the Granite Hot Springs pool, built by the Civilian Conservation Corps 1933. You'll come out at the Putt Putt trailhead in the Cache Creek drainage. This is in East Jackson, about a mile from the Town Square.